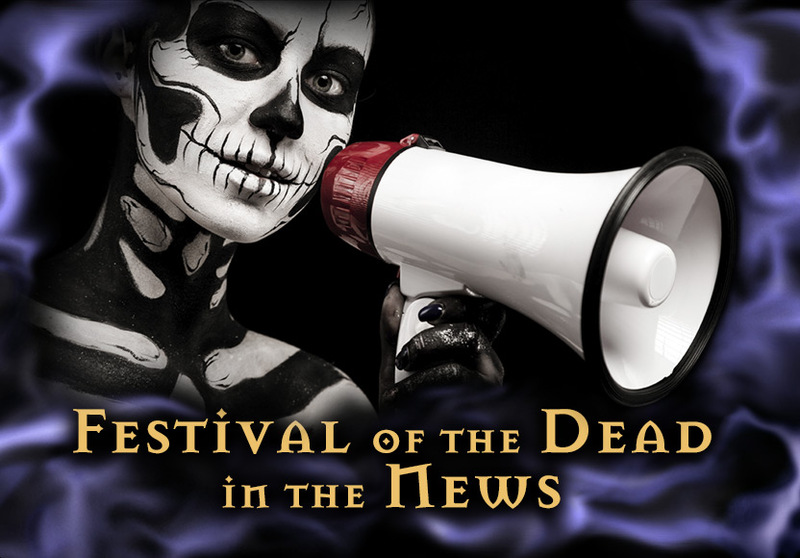 So what is Festival of the Dead? It's a business, dreamed up by Shawn Poirier of Salem and Christian Day of Marblehead. The two, who are witches, held the Official Witches Ball last year at the Lyceum Restaurant. The ball, by the way, did quite well. It sold out - at $125 a ticket. Now they also want to sell tickets to a series of new events that would let people get a sense of what they call the spiritual and pagan roots of Halloween. They advertise the festival as a way to make contact with the dead, confront your own mortality, and celebrate the spirit world. Events would include a psychic fair and witchcraft expo and a seance with Poirier. There would be a showing of Ouija boards collected by Bob Murch of Salem, who invented Cryptique® a Salem inspired spirit board. And there would be an event called "Death and Rebirth: Ritual Transformations," which is billed as a way to help people take control of their lives and break bad patterns.